The Dexter 30 inch mirror offers a combination of styles thats country meets contemporary. 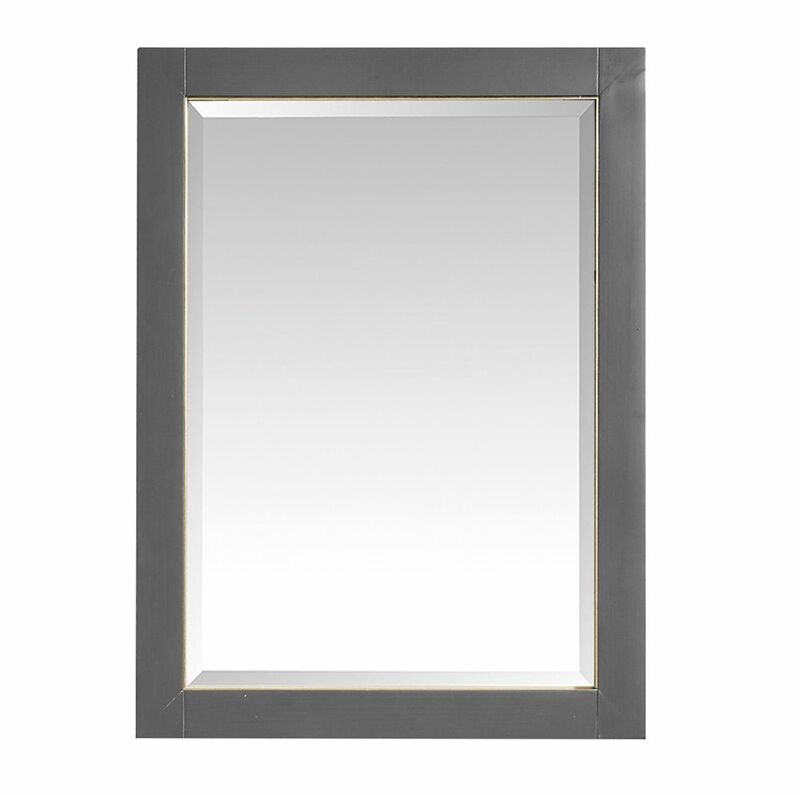 From its Rustic Gray finish to it striking metal inset, the Dexter mirror blends rural and industrial details to create an intriguing mirror that will be the centerpiece of your bathroom or any living space. 24 inch Mirror for Allie / Austen in Twilight Gray w/ Gold Trim This 24 inch mirror features a minimalist design that pops with colour thanks to the refined Twilight Gray finish with matte gold trim. It features a solid wood birch frame and wall cleat for easy hanging. The mirror is a perfect companion to the Allie / Austen vanites.